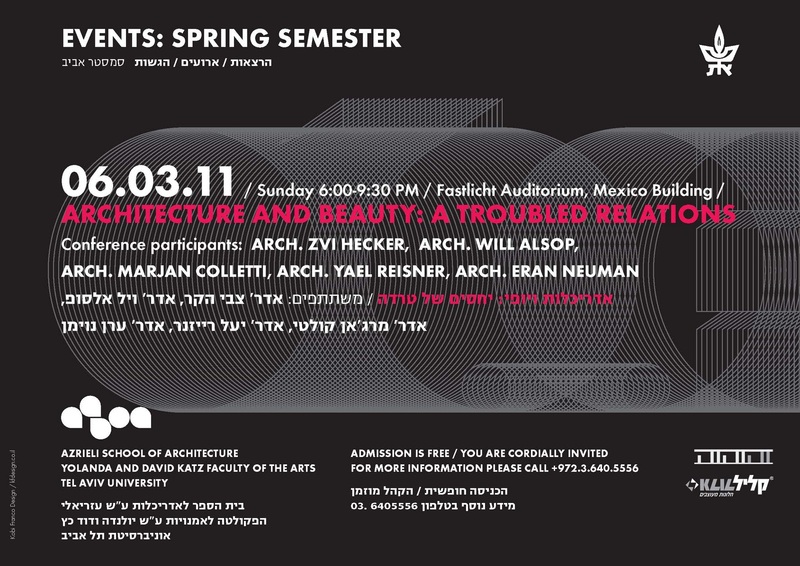 Yael Reisner, Zvi Hecker, Will Alsop, Marjan Colletti. 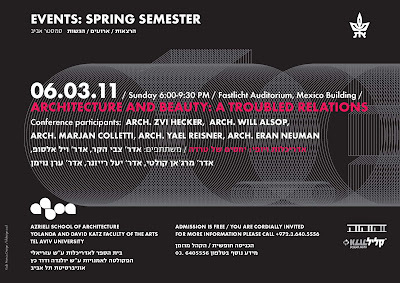 Following the publication of Yael Reisner's book Architecture and Beauty: Conversations with Architects about A Troubled Relationship (Wiley, 2010), the zezeze architecture gallery, in cooperation with the School of Architecture at the Tel Aviv University, will host a series of events with architect Yael Reisner and guests. The events are in English. Free admission.To ensure a place, it is recommended to reserve sits in advance by contact the gallery by phone or email.